The Ontario Provincial Police (OPP) is set to investigate allegations of obstruction of justice and evidence manipulation by senior police officers in Ottawa after a request made by Ottawa’s police chief. OPP Commissioner Vince Hawkes received the request from Ottawa Police Chief Charles Bordeleau after Bordeleau was sent a letter outlining allegations of fraud and evidence manipulation against two senior Ottawa police officers and a lawyer in the force’s legal department. Bordeleau said on Tuesday that he would not be reassigning or suspending any employees named in the allegations. 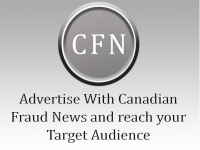 This article is summarized by Canadian Fraud News Inc.